Breath of Life Counselling in Brisbane assists you with your every day personal development, at home and in the workplace. 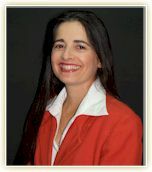 I am Julia Leprotti, qualified Counsellor at Breath of Life. I offer you a warm welcome, a peaceful atmosphere, and the time to hear and respect you and your needs. I encourage you to visit the various sections of the website, and to look into the articles and Frequently Asked Questions. Contact me at any time, by phone, email or a personal visit. Handling the complex interactive process of life with those closest to you. Dealing with the areas of life that can benefit from improvement such as social skills, life skills, self discipline. Understanding personal and professional strengths and weaknesses. Handling the unexpected. Equipping with new tools and skills to enrich contributions in the work place. I am a holistic counsellor who takes my profession seriously. My desire is that you feel comfortable, relaxed, valued, respected and - most of all - heard. My aim is to show an approach that is empathetic and non-judgmental, and sincerity that manifests itself to you. My purpose is to assist you with your personal development, and awareness of self. I seek to do this by providing an atmosphere of genuineness. The contents of this website and of any response made to an inquiry emanating from the website are for information only. Users should contact an appropriate qualified counsellor or medical authority for in person counsel on their specific needs. Free information and thoughts on relationships, counselling before marriage and marriage. How to laugh, how to cope, how to love and be loved. Life at home and at work. About Breath of Life Counselling in Brisbane. Feel safe and free. Personal attention, specific individual needs, and corporate workshops. Sudden Loss impacts in the case of death of a family member, a friend, a work companion. Help to handle the shock and sudden grief. Corporate Counselling in Brisbane. Tools and skills for employers and staff. Increased productivity and confidence levels. Reduced stress. Disaster Management Counselling. Helping you to understand and handle the situation and the people involved. Caring, experienced, qualified counsellor located in Brisbane, QLD. Breath of Life Counselling in Brisbane is committed to maintaining your confidence. Pre Marriage Counselling in Brisbane at Breath of Life. Couples participate in an accredited pre&#45;marital counselling program to prepare them for the commitment of marriage. Improved communication, better understanding.